Arrow 3x22 "This Is Your Sword" - Oliver/Al Sah-him (Stephen Amell) finishes his training and is left with two final tasks to become the next Ra’s al Ghul. Ra’s (guest star Matt Nable) threatens Nyssa (guest star Katrina Law) and delivers some shocking news. Meanwhile, Malcolm (John Barrowman) makes a surprising offer to Team Arrow and Thea (Willa Holland) goes to see Roy (Colton Haynes). Wendey Stanzler directed the episode with story by Erik Oleson and teleplay by Ben Sokolowski & Brian Ford Sullivan (#322). 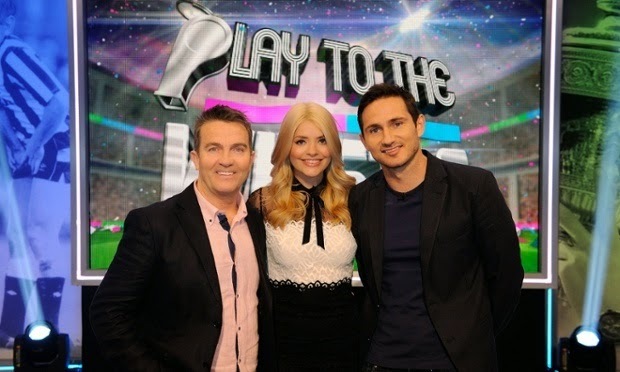 Original airdate 5/6/2015. Marvel's Agents of SHIELD 2x20 "Scars" - Skye is torn between her loyalty to S.H.I.E.L.D. and her connection to the Inhumans as tensions rise between the groups -- and Coulson reveals a secret he’s been hiding from even those closest to him, on “Marvel’s Agents of S.H.I.E.L.D.,” Tuesday, May 5th on ABC. iZombie 1x08 "Dead Air" - Liv (Rose McIver) and Clive (Malcolm Goodwin) work together to solve the murder of a morning radio talk show host who specialized in relationship straight talk. Liv becomes filled to the brim with insight after consuming the brains, making Clive extremely uncomfortable when Liv starts getting personal. Meanwhile, Peyton (guest star Ali Michalka “Easy A”) steps in to help Major (Robert Buckley), and Blaine (David Anders) issues a warning. Lastly, Ravi’s (Rahul Kohli) unexpected romantic connection has the potential to make things awkward for Liv. Zetna Fuentes directed the episode written by Aiyana White (#108). 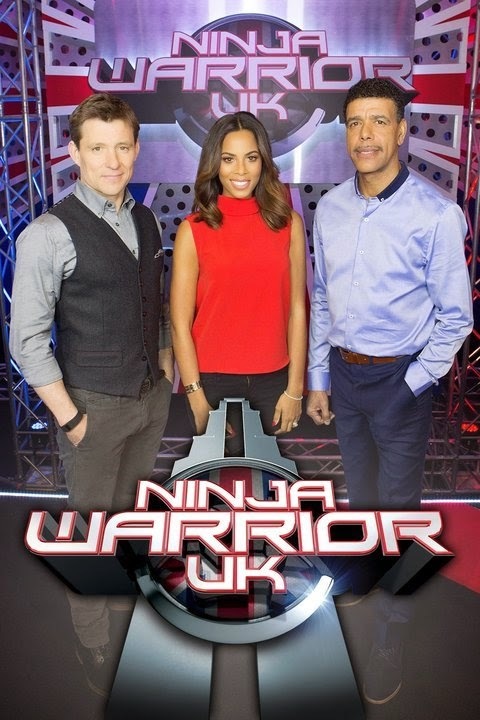 Original airdate 5/5/2015. 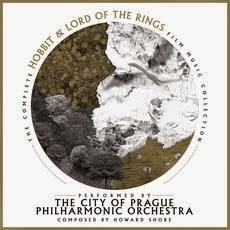 This release brings together for the very first time music from all three Lord Of The Rings film alongside the three Hobbit films in a 2CD set performed by The City Of Prague Philharmonic Orchestra. Howard Shore's monumental music for The Lord Of The Rings has been honoured with three Academy Awards and tours the world constantly to sell-out audiences with live projection of the film. The detail applied to the composition of the music to the Tolkien canon is legend itself. Elaborate vistas are created utilising a wealth of instrumentation from musical genres across the world and are woven together by the composer to create the author's unique world in sound. 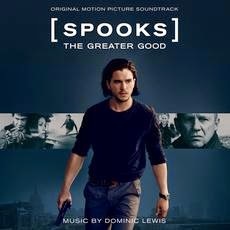 From The Prophecy to The Last Goodbye this is a journey through truly cinematic film composing. Arrow 3x21 "Ah Sah-Him" - Oliver (Stephen Amell) goes through a rigorous transformation. The League of Assassins sets their sites on Nyssa (guest star Katrina Law), who is back in Starling City training Laurel (Katie Cassidy). When Nyssa realizes they are coming, she arms up to face them alone but Laurel asks Felicity (Emily Bett Rickards) and Diggle (David Ramsey) to help protect her new friend. Thor Freudenthal directed the episode with story by Beth Schwartz and teleplay by Brian Ford Sullivan & Emilio Ortega Aldrich (#321). Original airdate 4/29/2015. Grimm 4x20 "You Don't Know Jack" - A string of homicides have the press asking Captain Renard (Sasha Roiz) if a Jack the Ripper copycat has arrived in Portland. While dealing with the investigation, Nick (David Giuntoli), Hank (Russell Hornsby), Monroe (Silas Weir Mitchell) and Wu (Reggie Lee) deal with a situation they never expected. Meanwhile, Adalind (Claire Coffee) and Rosalee (Bree Turner) must work together on a last ditch attempt to fix Juliette's (Bitsie Tulloch) condition. Elsewhere, Juliette decides to help her new ally even if it means hurting those around her. 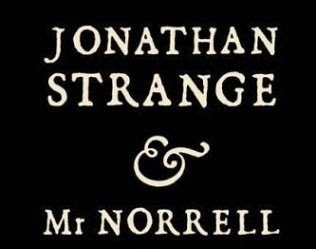 Magic that once existed in England has long faded, until Mr Norrell and Jonathan Strange are discovered and bring practical magic to England. Gotham 1x21 "The Anvil or the Hammer" - The Ogre breaks down Barbara’s emotions, while Gordon and Bullock go to great lengths to track him down. Meanwhile, Penguin leads a massacre, beginning an epic war, while Bruce learns the truth about Wayne Enterprises and Nygma deals with his recent actions in the all-new “The Anvil or the Hammer” episode of GOTHAM airing Monday, April 27th on FOX. Subscribe to tvpromosdb on YouTube for more Gotham season 1 promos in HD! Northmen is an action-packed and brutal Viking Saga that brings together a top-class cast and some truly bone-crushing fight sequences. Shot against the breathtaking backdrop of South Africa’s Cape Province, the film stars True Blood’s Ryan Kwanten, Tom Hopper (Black Sails), Ed Skrein (Game of Thrones), James Norton (Rush), Charlie Murphy (Philomena) and Johan Hegg - legendary frontman for Swedish heavy metal band, Amon Amarth. 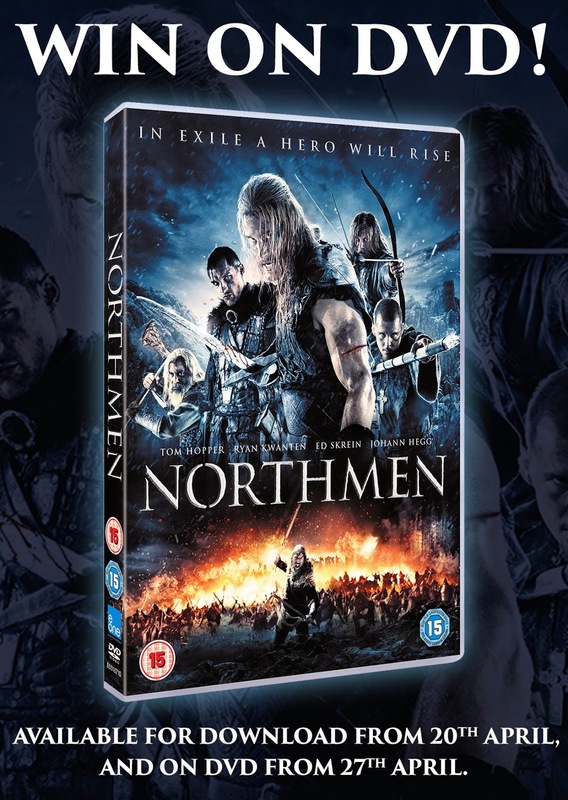 Available for download 20th April and on DVD 27th April, Northmen is thrilling, violent, bloody and boasts some of the best and most realistic fight scenes in years. Banished from their homeland by their own king, a group of ruthless Vikings bear down on Britain, intent on plunder and pillaging. 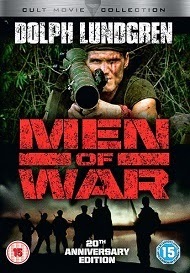 Under the command of their daring leader Asbjörn (Tom Hopper), they embark on a dangerous mission: to rob the monasteries of their treasures and with it to buy back their freedom. Their journey is disrupted, however, when they are caught in a vicious storm, which leaves them shipwrecked on the Scottish coast. Stranded behind enemy lines, their only chance of survival is to make it to distant Viking-settlement Danelaw. En route, the Vikings successfully capture the feisty Lady Inghean (Charlie Murphy), daughter of King Dunchaid (Danny Keogh). The banished warriors seize their opportunity for a high ransom, but King Dunchaid, well-prepared in battle, summons his most ruthless mercenary army the ‘Wolf Pack‘ – a band of men feared for their cruelty across the land. It is only with the help of a mysterious monk called Conall (Ryan Kwanten), that the Northmen finally manage to escape from the ‘Wolf Pack’ and their merciless leaders Hjorr (Ed Skrein) and Bovarr (Anatole Taubman). As Conall leads the Vikings through the only safe route to Danelaw – the long-forgotten “Path of the Serpent” – a relentless race against time begins; a hunt for life and death. Arrow 3x20 "The Fallen" - Ra’s al Ghul (guest star Matt Nable) finally makes Oliver (Stephen Amell) an offer he can’t refuse. The team joins Oliver on his journey to Nanda Parbat where a heartbroken Felicity (Emily Bett Rickards) decides to take matters into her own hands. Antonio Negret directed the episode written by Wendy Mericle & Oscar Balderrama (#320). 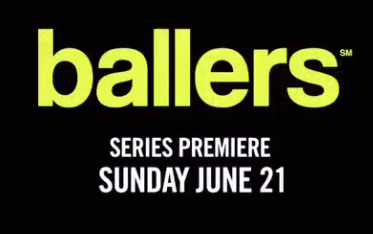 Original airdate 4/22/2015. 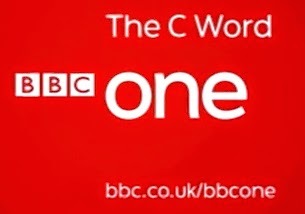 The C Word is an adaptation of Lisa Lynch’s inspiring and candid book about her experience of cancer, based on her popular blog which was launched shortly after her diagnosis in 2008.
iZombie 1x06 "Virtual Reality Bites" - Liv (Rose McIver), Clive (Malcolm Goodwin) and Ravi (Rahul Kohli) work together to investigate the murder of a computer-hacker. Liv inherits intense agoraphobia after consuming his brains along with mad skills at computer gaming. This delights Ravi, who urges her to play and offers to help her from inside the game, as they continue to search for the killer. Meanwhile, Blaine (David Anders) becomes acquainted with someone close to Liv. Robert Buckley also stars. Dermott Downs directed the episode written by Gloria Calderon Kellett (#106). Original airdate 4/21/2015. Gotham 1x20 "Under the Knife" - Gordon and Bullock continue their investigation of the Ogre (guest star Milo Ventimiglia), who begins to make his move on someone close to Gordon. Meanwhile, Bruce and Selina team up to expose a corrupt Wayne Enterprises employee and Nygma comes to Kristin Kringle’s defense in the all-new “Under the Knife” episode of GOTHAM airing Monday, April 20th on FOX. Once Upon a Time 4x18 "Sympathy for the De Vil" - Cruella de Vil has a secret she needs to hide - even if it means threatening the two mothers you never want to cross! Grimm 4x18 "Mishipeshu" - A homicide leads Nick (David Giuntoli) and Hank (Russell Hornsby) onto the dark and mysterious path of a local Native American power quest. Meanwhile, Juliette's (Bitsie Tulloch) erratic behavior lands her on the wrong side of the law. At the spice shop, Rosalee (Bree Turner) and Monroe (Silas Weir Mitchell) are on a mission and call on Captain Renard (Sasha Roiz) for help. Reggie Lee and Claire Coffee also star. http://www.bbc.co.uk/atlantis Jason has been sentenced to death for killing the Oracle. Marvel's Agents of SHIELD 2x17 "Melinda" - The story of Melinda May’s transformation into “The Cavalry” is revealed as she finds herself at a crossroads in the war between Coulson and Gonzales. As Skye learns more about her true heritage from Lincoln, the truth about the Inhumans will send her in a new direction, on “Marvel’s Agents of S.H.I.E.L.D.,” Tuesday, April 14th on ABC. Supernatural 10x18 "Book Of The Damned" - Charlie (guest star Felicia Day) calls Sam (Jared Padalecki) and Dean (Jensen Ackles) to tell them she found the Book of the Dead which could help remove the Mark of Cain. The Winchesters race to her after she tells them she’s been shot by a man named Jacob Styne (guest star Jeff Branson) who says the book belongs to his family and he won’t rest until he gets it back. Castiel (Misha Collins) and Metatron (guest star Curtis Armstrong) take a road trip to find Castiel’s grace but they hit a couple road bumps along the way. PJ Pesce directed this episode written by Robbie Thompson (#1018). 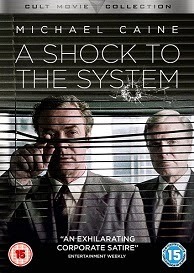 Original airdate 4/15/2015. 10-year old bull rider Lance Lara is the adorable rising star of the Texas rodeo circuit. He’s desperate to become a professional bull rider - but can he prove his mettle at one of the most important bull riding competitions of the year? Coming from a dyed-in-the-wool rodeo family, Lance has been bull riding since he was four. He uses his winnings from competitions to save for college - he’s managed 14 bucks and 71 cents so far. Bull riding is described as the most dangerous organised sport on the planet - an estimated 1 in 15 rides end in injury, making the sport ten times more dangerous than American football. Yet it’s the fastest growing sport in the US and a multi-million dollar business.